Description: An updated striking look on a popular Arts & Crafts design, the Preston flushmount features an appealing square shaped design with geometric styling. Clear Seeded Glass is complemented with a frame and hardware offered in a Timeless Bronze finish. 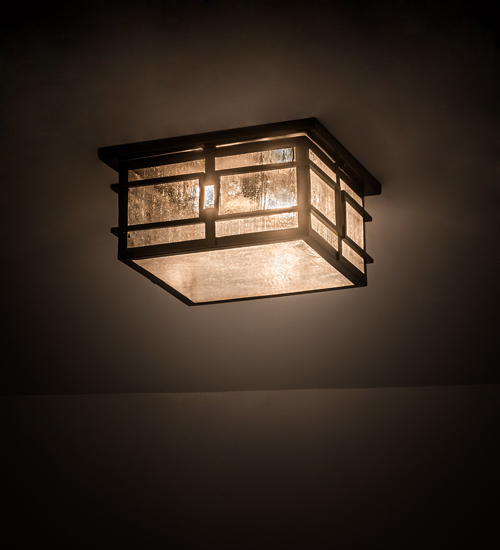 Handcrafted by highly skilled artisans in our manufacturing facility in Yorkville, NY, this fixture is available in custom sizes, finishes and designs. Dimmable energy efficient lamping options such as LED are available. The fixture is UL and cUL listed for dry and damp locations.